With Wonder Con leaving for Anaheim, the bay area was left without a major comic book convention. Sadness filled the land. Until a shinning beacon of hope came from Berkeley pointing the way to the Oakland Convention Center: Image Comic Expo! Image is an independent “comics and graphic novels publisher formed in 1992 by seven of Marvel Comics’ best-selling artists. Since that time, Image has gone on to become the third largest comics publisher in the United States.” As some people look at it, there are the “Big 2” Marvel and DC, and the rest. And sadly, this is something that I forget from time to time. 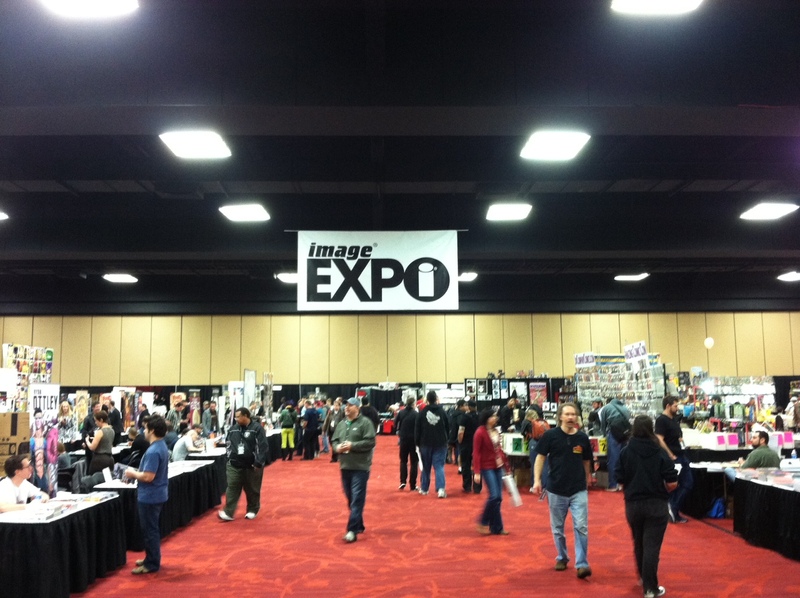 Image Expo was this last weekend and I went on Sunday to check it out. At first I was taken aback that there wasn’t hoards of rabid fans swarming the streets of Oakland. And once I got into the convention floor, I had elbow room and could breath. This was a little strange for me as I am used to the battle that is San Diego Comic Con. But once I walked around I realized I had struck gold! This was fantastic! It felt like a convention should feel: fans, creators and retailers coming together to celebrate the world of comics. No big movie booths, no massive video game stations, just comic books and their creators. And I got to talk to the creators. Not just “hey could you sign this” but have a conversation with them. I mean I have never been to a con where Brian K. Vaughn (Y: The Last Man) didn’t have a mob around him, much less NO LINE! Plus I got to chat with Rob Guillory (Chew), Jim Zub (Skullkickers) and, the man himself, Robert Kirkman (The Walking Dead). Robert Kirkman and I talk zombies! All in all, it was a great time. I hope that this is not the last Image Expo!